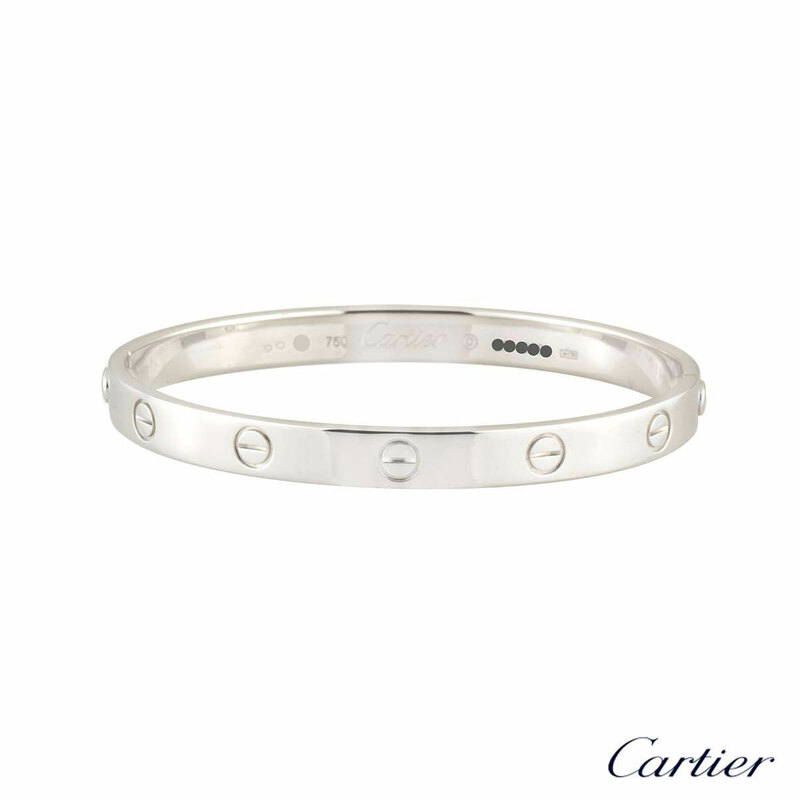 A signature 18k white gold Cartier bracelet from the Love collection. 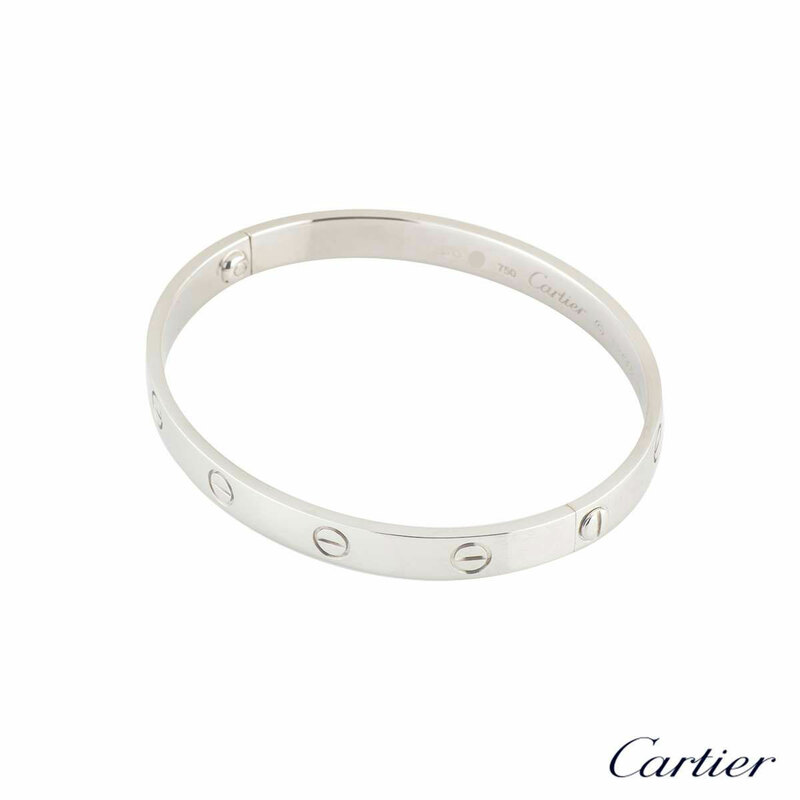 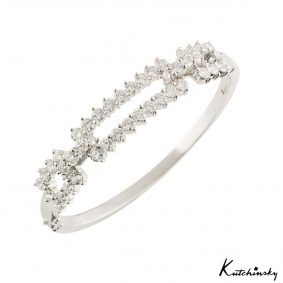 The bracelet has the iconic screw motif displayed around the outer edge and has the old style screw fitting. 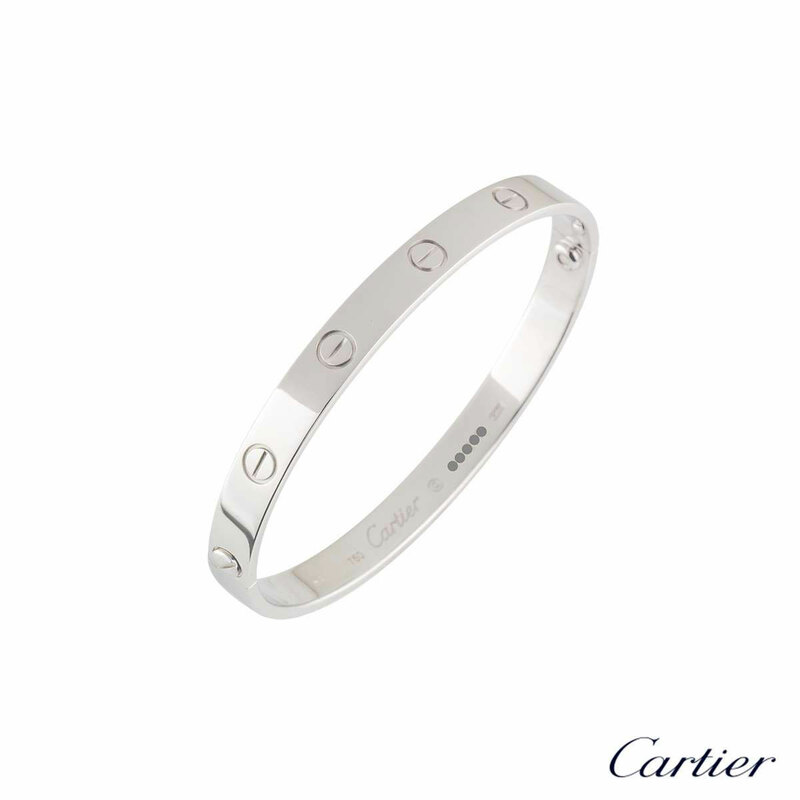 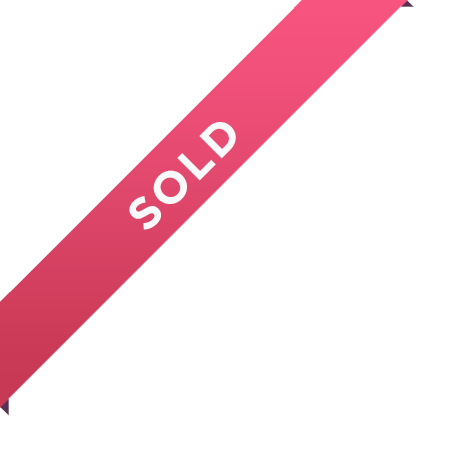 The bracelet and is a size 16 and has a gross weight of 31.10 grams. 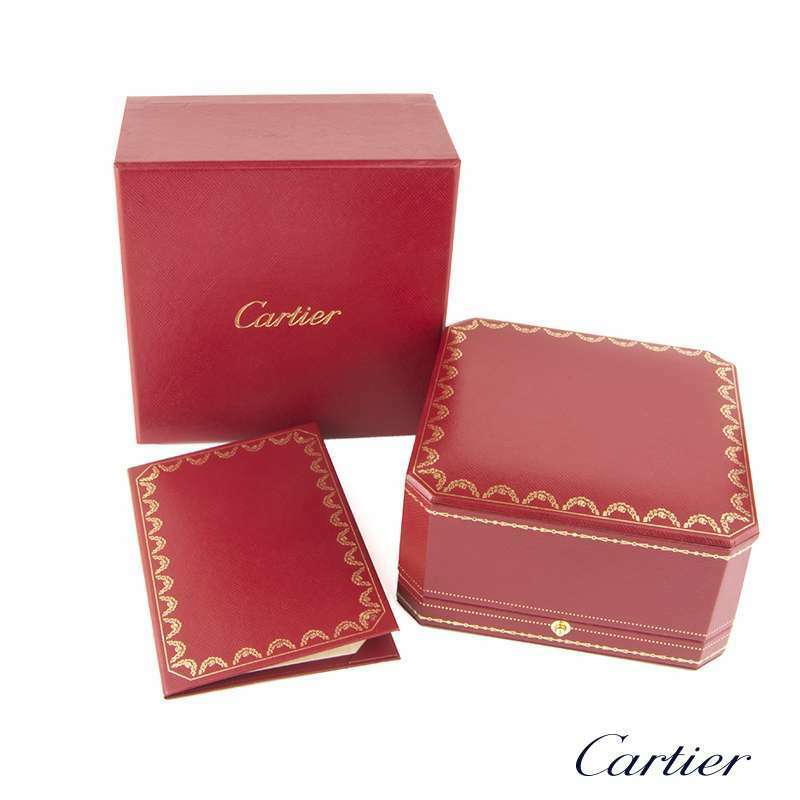 The bracelet comes complete with a Cartier presentation box and Cartier service papers dated January 2019.